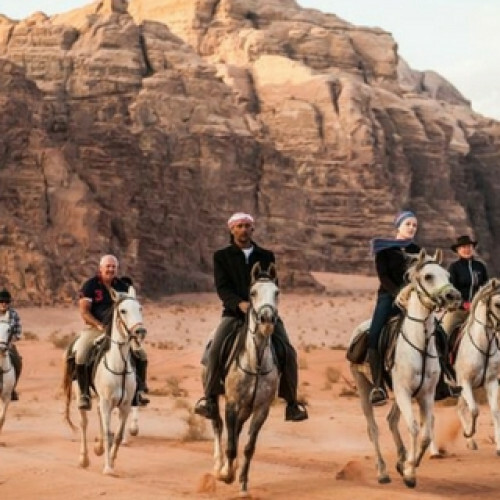 Why Take Wadi Rum & Petra Tours on Horseback? Re-watch Raiders of the Lost Ark, pack the bullwhip and prepare to enter a world of Old Testament proportions as you canter in the footsteps of hardy Bedouin nomads. 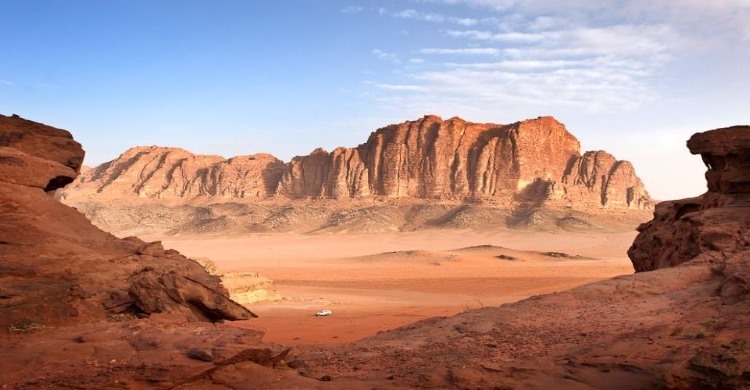 Even T.E Lawrence had a tough time comprehending this powerful Middle Eastern landscape with its endless dunes and mighty red cliffs, so expect to feel perpetual awe coursing through your veins as you gallop through the Hashemite kingdom. 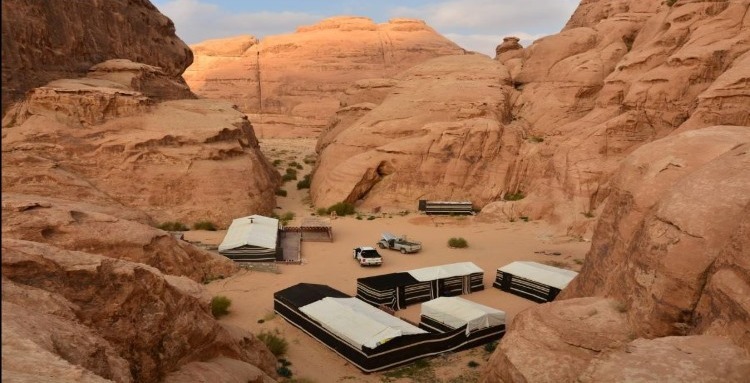 Expert local guides will set a course from the towering stone city of Petra, through historic valleys and the heart of desert folklore, to the Wadi Rum itself. Shelter from the high noon glare at strategic camps and viewpoints but don’t go swinging from any crumbling monuments with that whip of yours, you’ll get into a world of trouble! Come evening, dust off the fedora and bed down beneath the stars after a traditional fireside feast, a taste of Bedouin hospitality at its finest. If you thought sunset was impressive, brace yourself for dawn as it unveils dramatic sunrises over wind-groomed dunes. You’ll gain a real appreciation of Jordan’s history, the amazing life of young Harrison Ford and leave with a clear conscience. This tour comes from the most innovative adventure travel suppliers on the market whose simple mantra, “Leave No Trace”, speaks volumes. Gallop through the World Wonder of Petra. Go wild with Indiana Jones impressions.